During divorce proceedings, child support is usually one of the most contentious issues. While courts often invoke a “one size fits all” child support order, a competent attorney can request that a court consider a number of factors when awarding child support, including the age of the children and each party’s ability to pay. Moreover, it often becomes necessary to adjust child suppot in Conroe, TX when changes in need, or income, occur. When this happens, a family lawyer can help you file the correct paperwork and make your case for modification. Here are some of the circumstances that may make you eligible to change your child support agreement. Temporary child support modifications can be awarded to address short-term emergencies. Some of the circumstances that may make you eligible for this temporary modification including one parent being laid-off from work, or the child, or a parent, experiences a medical emergency. For instance, if you lost your job and cannot pay the same amount of child support, a court may temporarily adjust your payments until you start working again. But you must ask. Likewise, if you have custody of a child who has a medical emergency, you may request additional child support payments temporarily to help pay for treatment costs. Changes in income can often lead to a permanent child support modification. A job change that leads to a substantial increase in income may also lead to an increase in child support payments. On the other hand, if the parent paying child support becomes permanently disabled, child support payments may be decreased because of the loss of income. Child support agreements can be amended if a child has a change in his or her needs. For instance, he or she may have additional expenses associated with medical costs for a chronic condition or be entering college and need tuition money. A family lawyer can provide legal advice to help you determine if a permanent change in need exists that could make you eligible for a modification. Divorce attorneys near Conroe, TX, often counsel clients about how to enforce their divorce decrees . 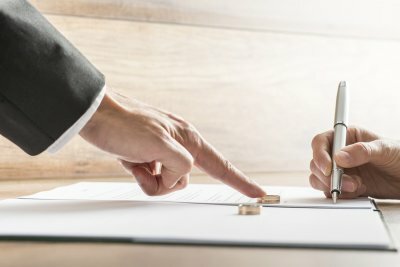 In family law, an individual must inform the court if his or her former spouse refuses to comply with a divorce decree. Divorce lawyers are necessary for making sure assets are divided equitably after a divorce. However, when divorce papers are filed, couples sometimes realize they have more debts than assets. A family law attorney can help in making sure you secure a fast, cheap but secure, divorce. In addition, you need divorce lawyers to make sure that you do not needlessly shoulder your spouse’s debt. If your ex will not comply with the court’s division of debts or assets, then contact your attorney right away. Family law in the Woodlands can be complex, which is why divorce lawyers are often needed to protect your rights. Only an experienced family law attorney can safely guide you through the process–from filing divorce papers to dividing marital assets. As your attorney will explain, any change in your marital status requires also changes your will. With help from a law firm that handles both family law and estate planning, you can ensure that your last will and testament accurately reflects your final wishes, and divorce does not frustrate your plans. Keep reading to learn more about how divorce could affect your heirs. As your divorce lawyers will advise you, making the difficult decision to end your marriage also may affect how your personal property is distributed through your will. Texas provides that a divorce removes your spouse as a beneficiary of your will automatically, but your spouse’s absence may create a new urgency in redrafting your will. In the event of serious illness or an accident, a thorough redraft will provide you needed comfort in knowing that your will and living will are enforceable and conform to your wishes. However, if you do not make necessary alterations to your wills (and trusts), then your heirs may not be able to collect the money you intended to award them. To ensure that your wishes are honored, have your family attorney or probate lawyer review your first will and then create a new document. Wills and trusts can certainly become more complicated after a divorce. For example, irrevocable living trusts cannot be changed, regardless of when or how your marriage ends. An irrevocable living trust involves having all assets transferred and signed over to a trustee, who retains sole control for the benefit of others. If you have already created an irrevocable living trust for one or more of your children, then neither you nor your former spouse may change the arrangement. In many cases, that means that your heirs’ inheritance will be protected. Divorce can affect inheritances distributed through revocable trusts. Revocable trusts mean that a couple still has control over all assets in the trust. Therefore, you or your spouse can theoretically amend the trust, dissolve the trust, or remove all assets at any time. However, if you and your ex-opt to dissolve the trust, all assets need to be addressed in your divorce decree.